Today’s post is all about a fun weekend Winter look. After all, just because it’s cold outside doesn’t mean your outfit has to be boring. This outfit is perfect for date night, girls night, and even Valentine’s day. So let’s dive into the look! 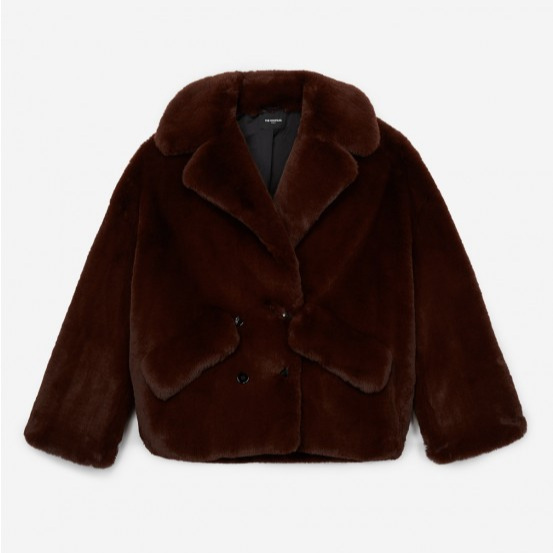 This coat is so soft and it’ll leave you and your friends guessing whether it’s really a faux. But it is. Besides for being cozy, this coat does a great job at keeping you warm all while looking super expensive, when in reality, it’s not. But at the time of writing this, the coat is on sale. And if you’re not sure about taking the plunge on this coat, know that it’s a classic style and color so it’ll be perfect for your winter wardrobe for years to come. I’ve also linked a similar and more affordable option for you as well above and below. Since the similar one is cropped, I’d pick one that is 1 to 2 sizes bigger so you can achieve the oversized affect. Leopard is considered a neutral right? Well whether you think it is or not, I love a good leopard piece because it’s fun and works great with colors (like red, green) and neutrals (black, white, gray). And did you know that when wearing animal prints, like leopard other people tend to rate the wearer more attractive? Talk about the perfect piece to wear on date night, right?! This one is only $20 and is almost sold out so scoop it up before it’s gone! In case that one sells out, here’s a similar one too. I love heeled OTK boots, they give me height and are a fun way to spruce up a pair of denim or legging. I honestly wear these almost everyday during the winter. But since I tend to ruin the heel, I tend to not invest much in these since they only survive the season. I’ve linked the ones I’m wearing and they are affordable so you won’t cry when you have to toss them out at the end of Winter. Do I need to explain? Turtlenecks are your best friend in the winter, and I’d make sure to pick one up in every single neutral color. They’re great for warmth and for layering. And I found you one that’s only $19!